Volkswagen has launched a new electric car brand, named SOL in China. 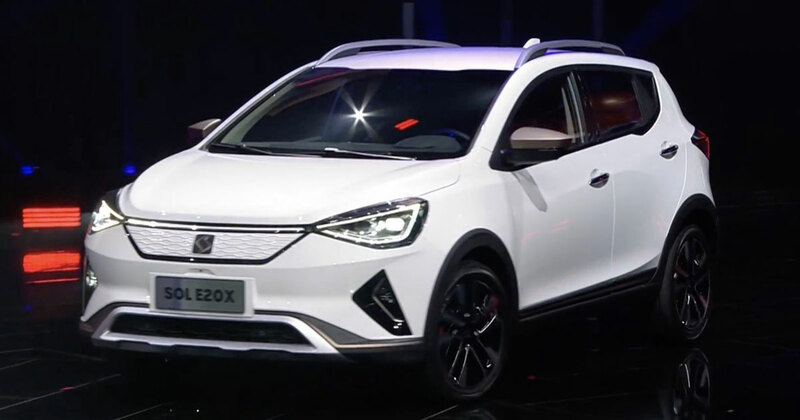 The E20X electric SUV is the first product from the company showcased during the Beijing motor show this time. The new SUV is the result of efforts from the new car brand which is part of Jianghuai Volkswagen Automotive. The Jianghuai Volkswagen Automotive is the Chinese company of VW which serves in collaboration with Anhui Jianghuai Automobile Group Corp (JAC). The E20X will be in the market until the end of the year as expected. This car uses the identical underpinnings like JAC’s iEV7S SUV which is an all-electric model exists in China and shows the touch of the VW Group styling when looking for Seat models. The detailing of the engine is hard to touch by now but it is expected to take the similar lithium-ion battery pack and an electric motor as available in the iEV7S. The company mentioned the new SOL model as covering 300 km distance in just one-time charge, as per the New European Driving Cycle. The features list includes self-parking technology, a 360-degree parking camera, and smart charging features are common to the iEV7S.